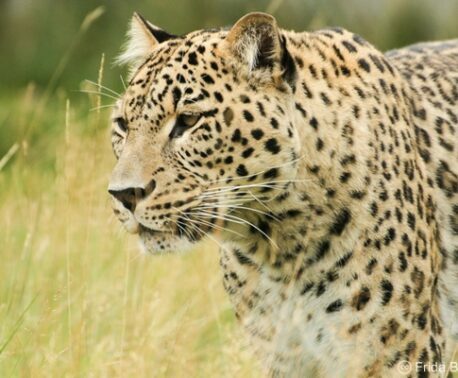 World Land Trust’s (WLT) Brazilian project partner, REGUA, have a growing research programme which involves encouraging universities to carry out research and holding workshops and field courses at the Guapi Assu Reserve. REGUA are keen to strengthen their links with Brazilian universities and facilitating students to carry out their research projects in partnership with REGUA. Students on the first field ecology course at REGUA. Photo © Jorge Bizarro. REGUA recently held their first field ecology course with 23 graduate students and four lecturers from the Universidade Federal do Rio de Janeiro. 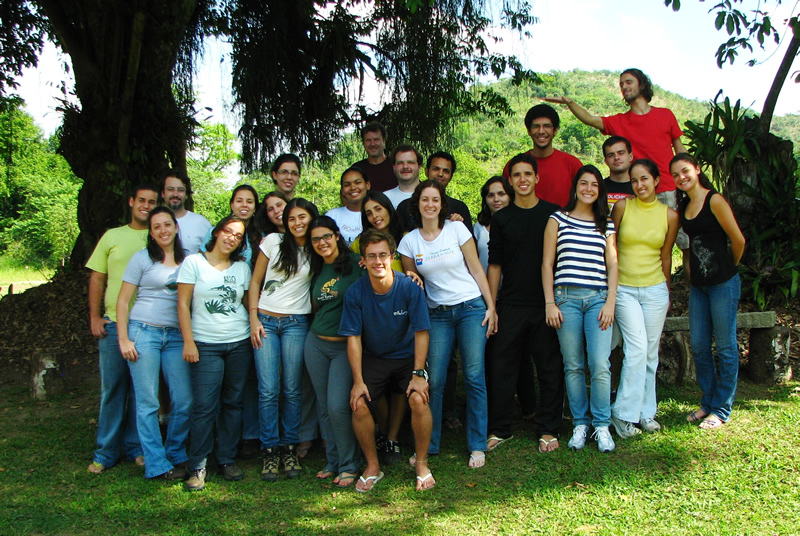 The course consisted of Entomologia I discipline field ecology classes and practical training in different habitat sampling techniques. The students were able to sample litter soil fauna from different habitats, survey aquatic arthropods and carry out insect surveys at night. The visit was a great success and REGUA reported that at least two of the students expressed an interest in researching beetles at the reserve. 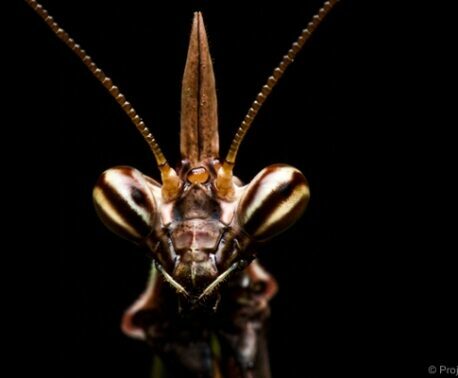 This would be the first time that this insect order will be researched at REGUA. REGUA and Rio de Janeiro State University have initiated a new hummingbird study at the Guapi Assu Reserve. 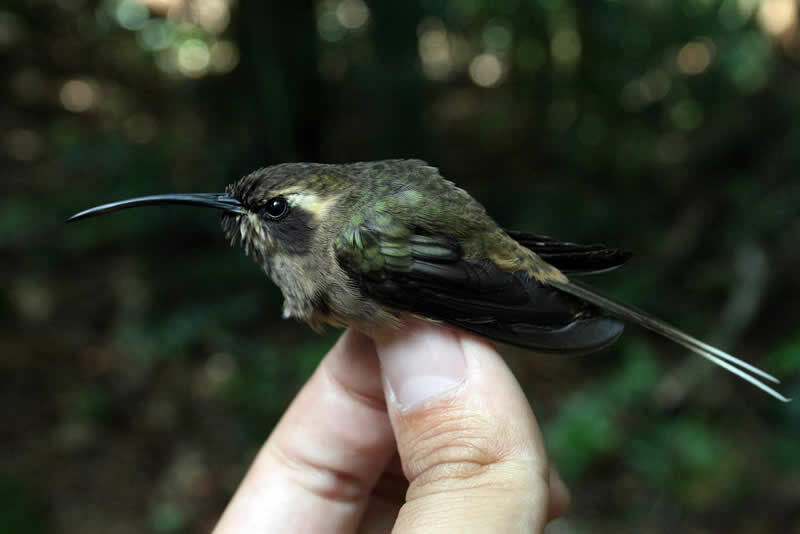 Luciana Barçante, a Masters student at the University will complete a survey of hummingbird species. The survey will look at the diversity of hummingbirds at different altitudes within the reserve, monthly over a two year period. On the first visit to the reserve, Luciana and her team found an abundance of Saw-billed Hermits (the only member of the Ramphodon genus), 2 Dusky-throated Hermits (endemic to Atlantic Rainforest in Brazil) and a Scale-throated Hermit at an altitude much lower than expected for this species.